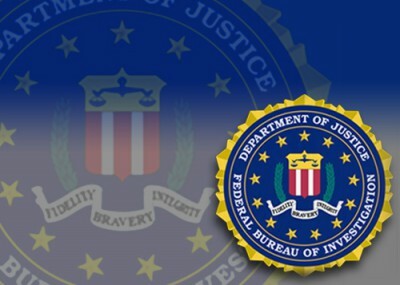 The FBI is currently in the process of editing its existing Domestic Investigations Operations Guide (DIOG), which governs the actions of FBI agents. The proposed changes, first reported by the New York Times, would allow agents to perform lie detector tests and trash can searches on potential informants, and search the FBI's database without opening up an assessment, the lowest tier of an FBI investigation. Agents will soon be able to evaluate informant candidates by using those methods, which are currently unapproved. The changes could help speed up the vetting process for valuable human intelligence, said Bob Blitzer, former Chief of the FBI's Domestic Counterterrorism Section, in an interview with the Investigative Project on Terrorism. Information obtained from informants must always be verified against other types of intelligence. The new policies will not change that fact, but they will help to ensure the integrity of the informant. "The more tools [the FBI] has to verify the honesty of sources, the better off we all are," said Blitzer. That means the raw intelligence received from the informant could be seen as more reliable from the start. "Vetting [informants'] bona fides is critical so that agents are not fooled into taking actions that pull them away from productive endeavors," he added. Civil rights groups say that's just what happened in the Irvine, Ca. case of informant and convicted felon Craig Monteilh. They claim the FBI wasted time investigating innocent Muslim communities. Critics doubt the truth of Monteilh's claims, which led to the indictment of Afghan Ahmadullah Niazi on charges of immigration fraud. But in sworn testimony, an FBI special agent testified that Niazi had referred to Osama bin Laden as an "angel." Joe Molyneux, who retired last year from the FBI's New Orleans office, agreed with Blitzer to a certain extent. "I don't see it as a big deal myself," he told the Investigative Project, referring to the use of polygraphs. "The background information about informants could [already] be corroborated with other intelligence." But he did note that polygraph examinations could be uniquely useful in identifying "crimes a person has committed that he didn't get caught for." Otherwise, "the use of a polygraph is just one extra step to determine the veracity of the information about the informant already collected." Like Blitzer, Molyneux emphasized the value of informant intelligence. "Informants are really much more valuable than doing surveillance," he said. He touted informants as the most valuable counterterrorism tool, second only to tracking financial records. FBI Director Robert Mueller warned earlier this year that lone wolf extremists "pose an equally serious threat" as al-Qaida. Informants have proven vital in identifying potential lone wolf attackers and other extremists. Last fall, a string of FBI sting operations using informants revealed that lone wolf extremists in Maryland, D.C., and Oregon were all willing to become operational terrorists inside the U.S. In May, two Iraqi nationals were indicted in Kentucky on charges related to helping insurgents, including al-Qaida-linked fighters, in Iraq. Defendant Waad Alwan told an undercover informant about how he used "hundreds" of IEDs to attack Americans fighting in Iraq and that his "lunch and dinner would be an American." The change could help quickly identify lone wolves and ticking time-bombs, said Blitzer. "Sometimes you get lucky and through some initial background checks, link people to other people who are engaged in doing bad things." "It allows [agents] to legally be able to process limited information more quickly and rule in or rule out people that come to their attention," Blitzer added. In the FBI, said Molyneux, "you have to do paperwork before you can do your paperwork." Similarly, FBI General Counsel Valerie Caproni said it is too cumbersome to require agents to open more formal inquiries before running quick checks. "It's not opening an investigation itself that's time consuming," said Molyneux. "It's monitoring that assessment as it goes forward." Both the agent and his or her supervisor spend hours ensuring they are in compliance with the assessment guidelines, he said. "Say you've got 15-20 investigations going on at the assessment stage," he said. "The supervisor has to closely monitor all of them." And many of those might not turn into full-fledged investigations. Though critics say the pre-assessment searches might lead to abuse, Molyneux said those searches wouldn't be a drastic change from current practice. At present, there are already permissible ways for FBI agents to get information without opening an assessment, he said. FBI agents could call colleagues in government agencies not bound by the Attorney General's guidelines, he said, and ask them to do a search on their behalf. However, Molyneux noted, the FBI database might very well contain valuable information other agencies' databases don't. That means the new rule could help agents get their hands on better search results faster. The current DIOG manual, released in December 2008, created the assessment stage—which requires no predicate or proof of criminal wrongdoing. FBI General Counsel Caproni hopes some fears regarding the assessment category will be eased in the newest update. She said that the new manual will provide a stricter definition of an assessment—it must be based on leads. The 2008 DIOG guidelines explain that assessments were created, in part, in order to help the FBI prevent terrorist attacks by "proactively draw[ing] on available sources of information to identify terrorist threats and activities." The FBI recently met with individuals opposed to the new changes, including former FBI agent and American Civil Liberties Union (ACLU) lawyer Michael German. "Claiming additional authorities to investigate people only further raises the potential for abuse," German said. Critics of the Monteilh case raised the issue of the FBI's right to investigate places of worship. Monteilh said that his handlers instructed him to spy on mosque communities in southern California. Sen. Patrick Leahy, D-Vt., recently penned a letter to FBI Director Mueller asking that he and other members of Congress be briefed on the pending changes, citing media reports that the changes would extend FBI agents' powers. The new guidelines also allow surveillance squads to be used several times during an assessment and give agents the ability to attend up to five meetings of a religious group or other organization of which a suspect is a member. But the FBI believes the criticisms are unfounded. "Overall, this is fine tuning, not any major change," the Bureau said in a public statement provided to the Investigative Project. The FBI's authority to use such tools provided in the manual is determined by the Constitution, statutes, executive orders, and the Attorney General's governing guidelines, it said. "The DIOG cannot and does not confer additional power to agents beyond that provided by those controlling authorities." As Molyneux put it, the answer to preventing FBI agents' abuse of power is not to tighten the operational guidelines. "You tighten accountability."